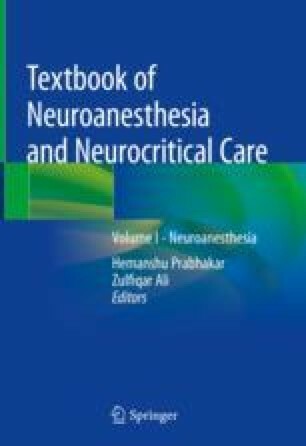 In addition to physiologic and anatomic considerations in neuroanesthesia practice, pharmacological issues that may affect drug disposition, dosing, and adverse effects must be addressed to prevent delayed emergence from anesthesia. Obesity, hypothermia, and renal and hepatic dysfunction can all affect patients’ response to anesthesia. Clinically relevant side effects unique to each agent must also be evaluated to prevent postoperative complications. Effects on cerebral hemodynamics should be utilized to provide anesthesia targeted to each patient’s pathology.